View cart “Irmangka Irmangka Hemp Oil” has been added to your cart. 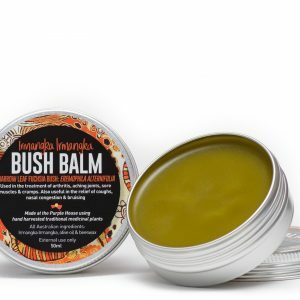 Bush Balm made with arrethe for protecting and soothing dry skin, eczema, cuts, sores, burns and bruising. Also a good general moisturiser. 100% organic. Bush Balm made with Arrethe for protecting and soothing dry skin, eczema, cuts, sores, burns and bruising. It’s also an effective general moisturiser. 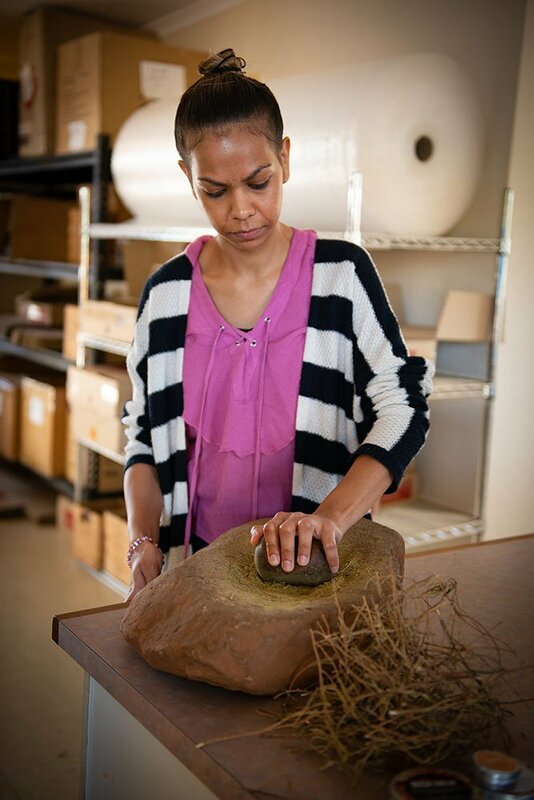 Indigenous Australians have used native plants to treat common ailments and illnesses for thousands of years. 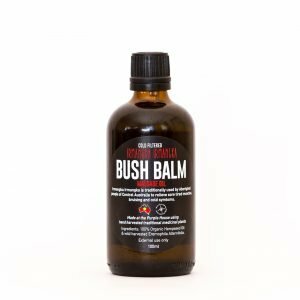 Their traditional knowledge inspires these Bush Balm products, which are made from wild harvested medicinal plants expertly collected on Aboriginal Lands in Central Australia. Irmangka irmangka, Yawirriyawirri and Arrethe have been used for generations to treat aches, muscle pain, joint inflammation, skin conditions and to ease cold & flu symptoms. 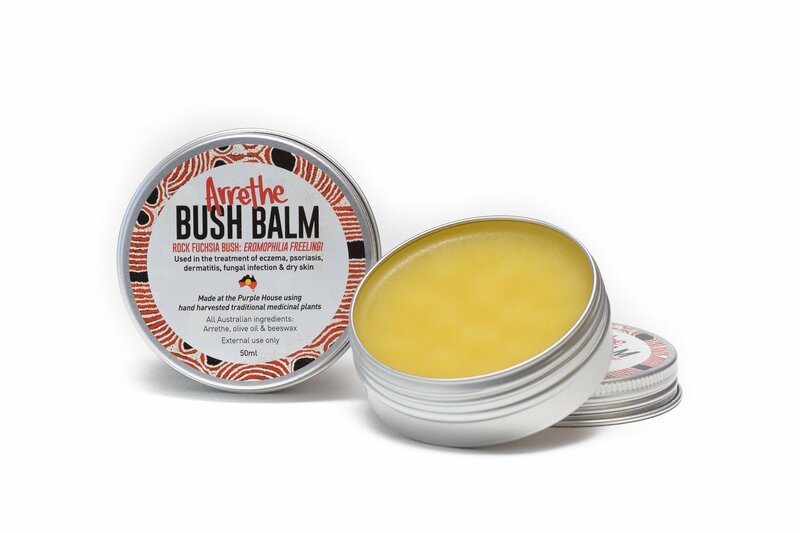 The Bush Balm rubs, moisturisers, soaps and lip balms were first produced by and for the growing number of Indigenous dialysis patients and their families around Central Australia. Forced to leave their country indefinitely for treatment, many longed for traditional bush remedies to remind them of home. And so the Bush Balms were born. 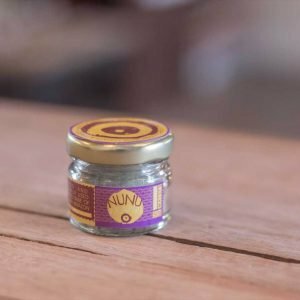 Bush Balm social enterprises is run by Purple House, an innovative Indigenous-owned and operated health service based in Alice Springs in the Northern Territory of Australia that runs 14 remote dialysis clinics and a mobile unit called the Purple Truck. The products provide employment opportunities for patients and their families. Purple House organisation supports fair trade practices and respects Indigenous intellectual and cultural knowledge.